Air Rescue Cooling & Heating Inc.
We put life back into your A/C ! Check out our reviews ! Air Rescue Cooling & Heating has earned the home service industry’s coveted Angie’s List Super Service Award, reflecting an exemplary year of customer service to members of the local services marketplace and consumer review site in 2016. Ask us about making your home energy efficient with no cost down to you! Some of the brands we service, just to name a few! 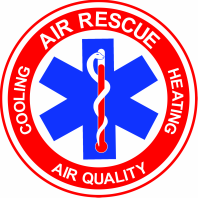 Air Rescue Cooling & Heating, Inc.